The result should look similar to that shown in Figure 8.2. 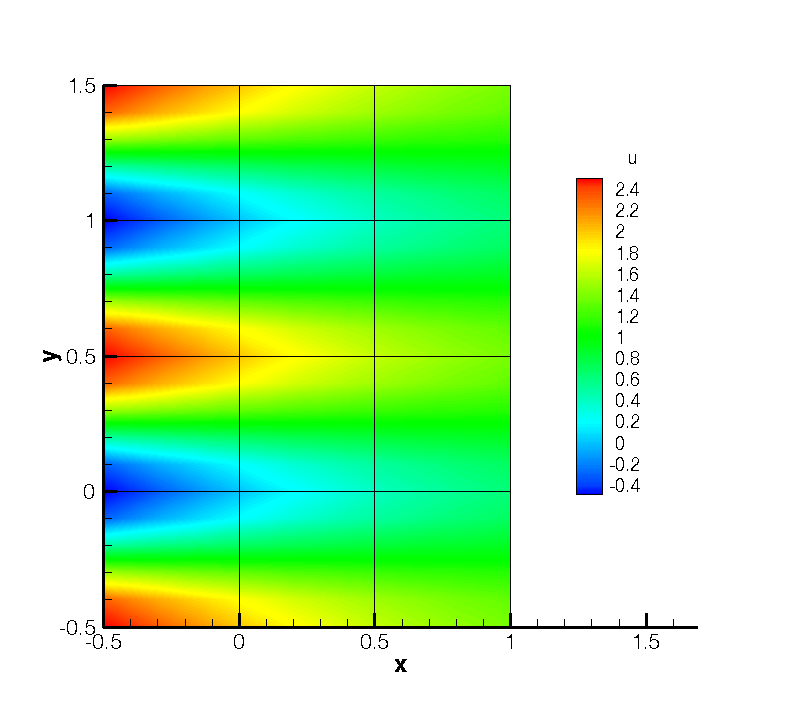 Figure 8.2: Velocity profiles for the Kovasznay Flow (2D). 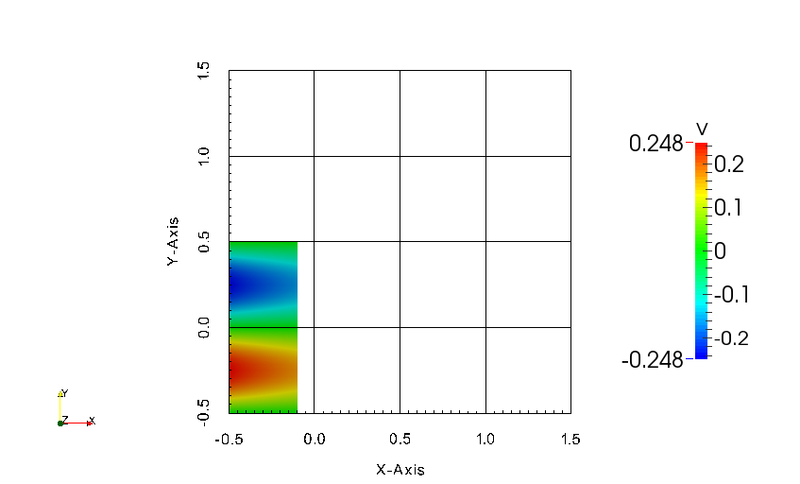 The physical solution visualized in velocity profiles is also illustrated in Figure 8.3. 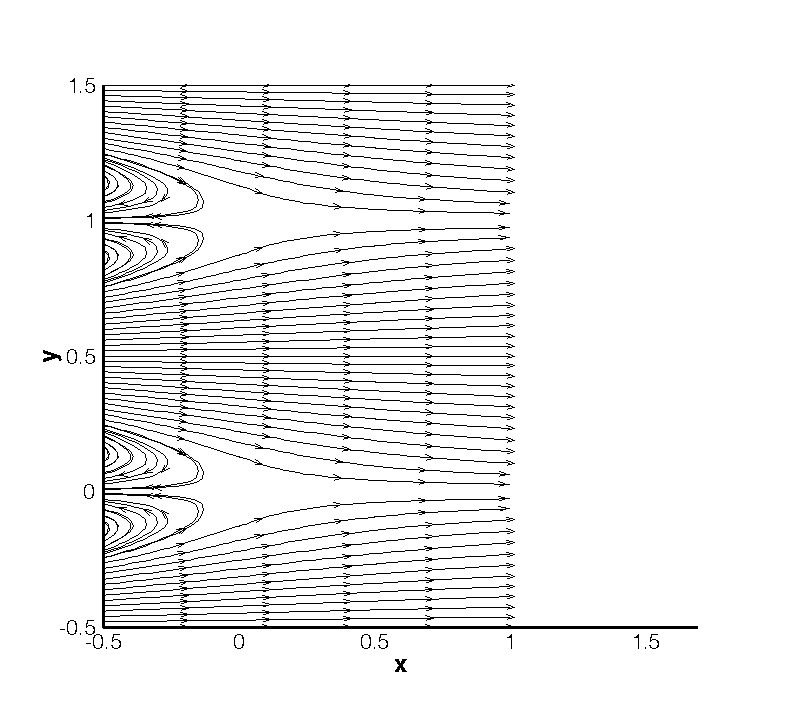 Figure 8.3: Velocity profiles for the Kovasznay Flow in truncated domain (2D). The solution should look similar to that shown in Figure 8.4. Figure 8.4: Pressure and velocity profiles for the laminar channel flow (2D). The expected results are shown in Figure 8.5. 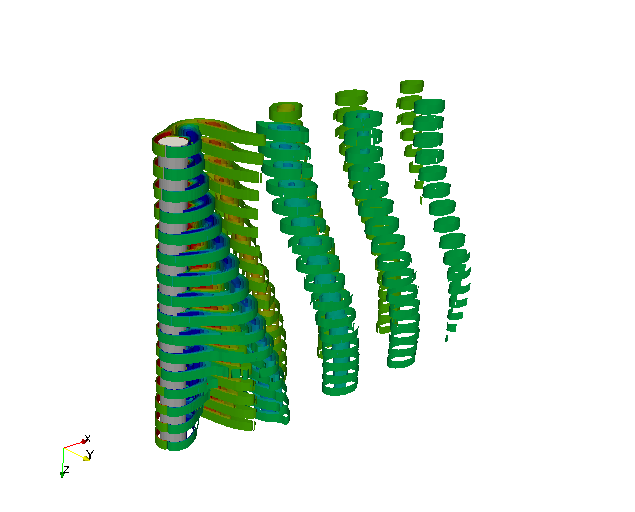 Figure 8.5: Pressure and velocity profiles for the laminar channel flow (full 3D). 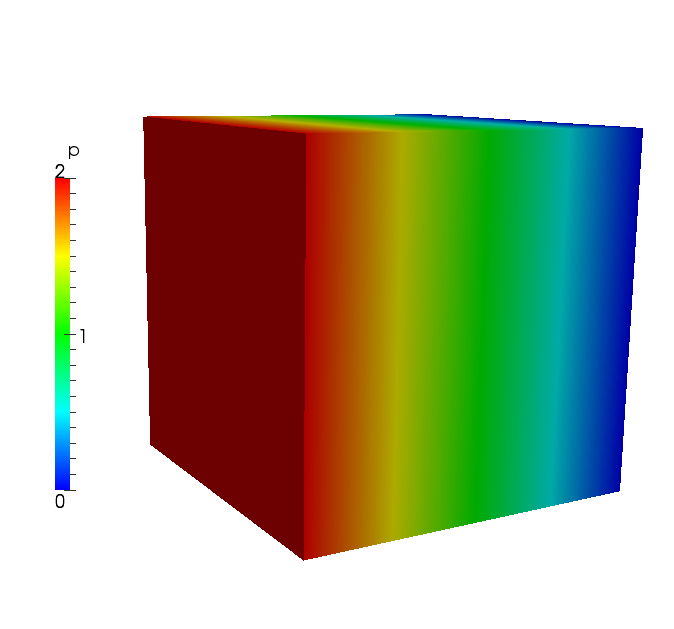 The results can be post-processed and should match those of the fully three-dimensional case as shown in Figure 8.5. The input file for this example is TurbChFl_3DH1D.xml. The geometry makes used of the homogeneous extension discussed in the previous example. The channel has height D = 2 and length L = 4π and is discretised using quadratic quadrilateral elements in the spectral/hp element plane and a Fourier basis in the third coordinate direction. 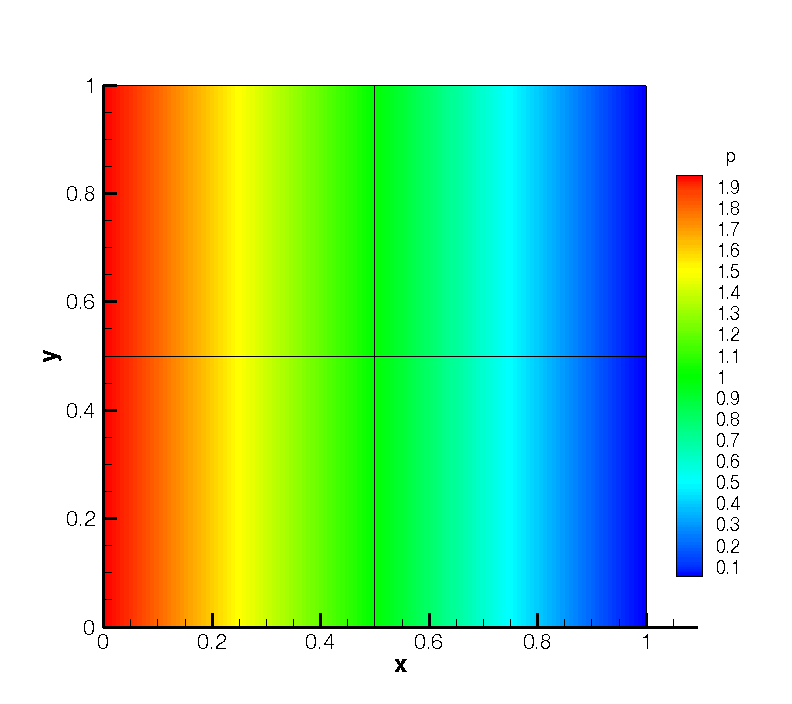 The elements are non-uniformly distributed so as to best capture the flow features with fewest degrees of freedom and is shown in Figure 8.6. 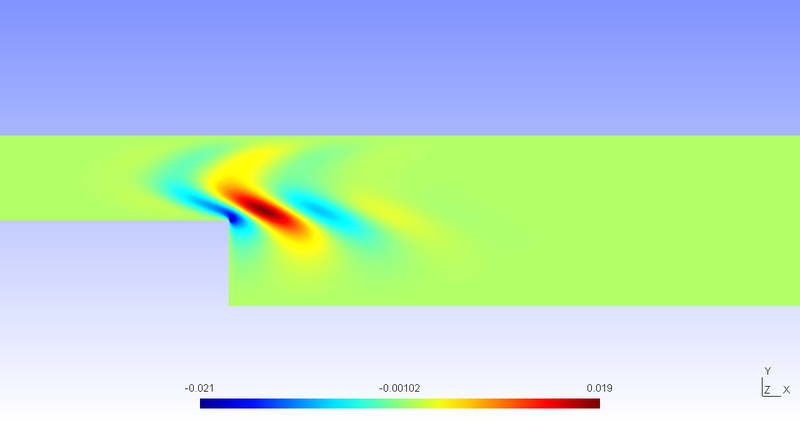 Figure 8.6: Mesh used for the turbulent channel flow. The result after transition has occurred is illustrated in Figure 8.7. 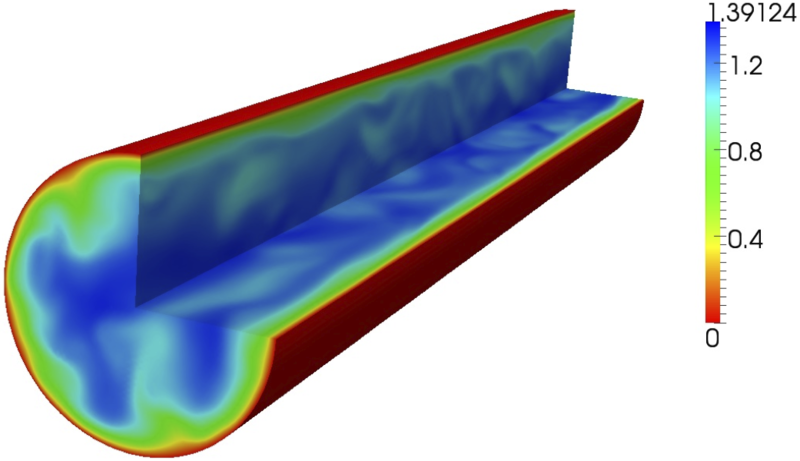 Figure 8.7: Velocity profile of the turbulent channel flow (quasi-3D). 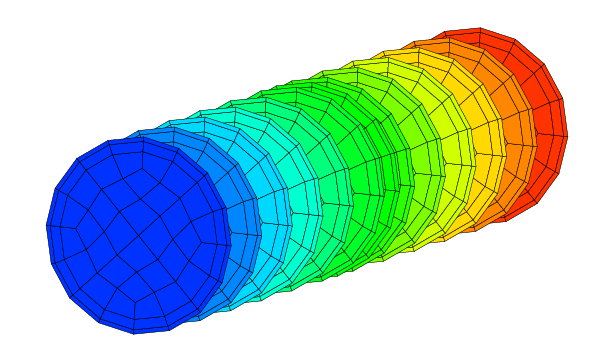 The circular pipe has diameter D = 1, the 2D mesh is composed of 64 quadrilateral elements and the streamwise direction is discretised with 128 Fourier modes. An illustrative diagram of the discretisation is given in Figure 8.8. 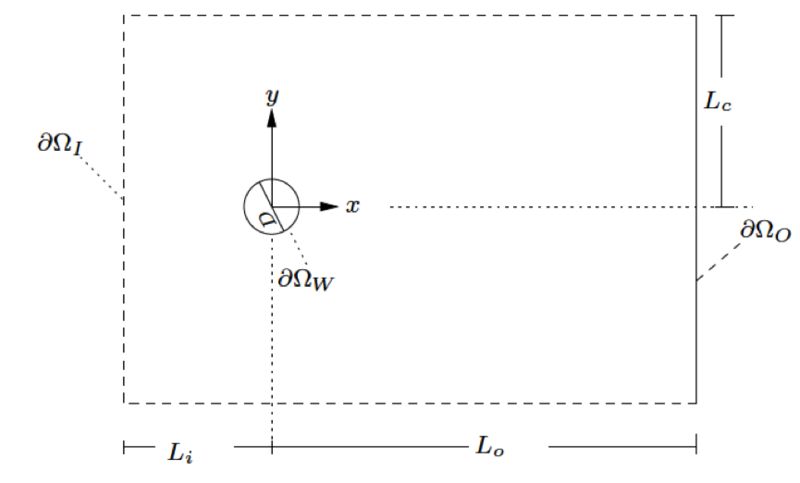 Figure 8.8: Domain for the turbulent pipe flow problem. When the pipe transitions, the result should look similar to Figure 8.9. 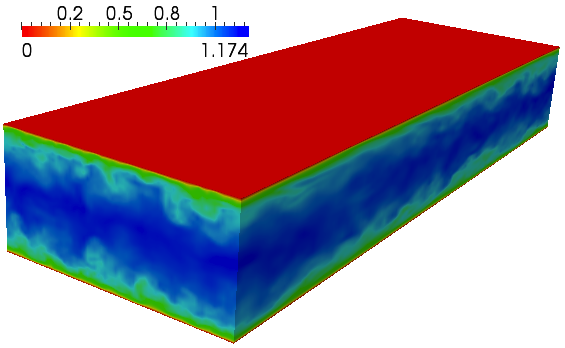 Figure 8.9: Velocity profile of the turbulent pipe flow (quasi-3D). Figure 8.10: Reduced region of rabbit descending thoracic aorta. 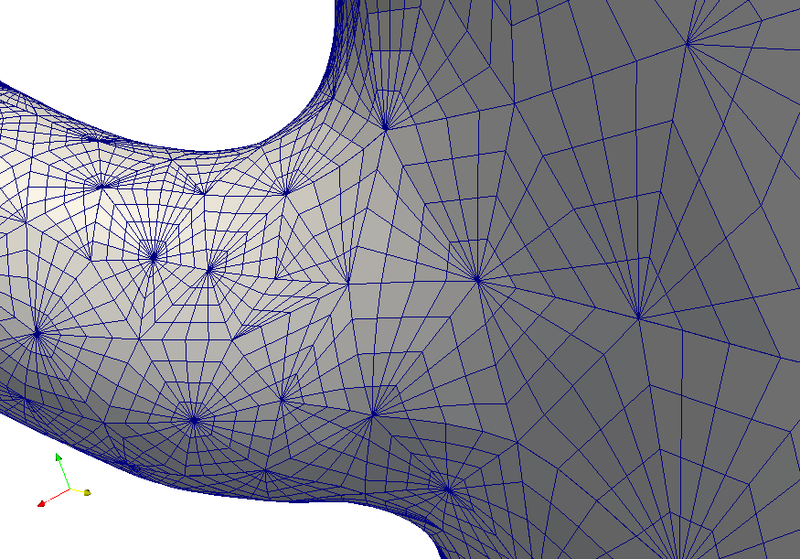 Figure 8.11: Surface mesh indicating curved surface elements at a branch location. Figure 8.12: The solved-for velocity field. 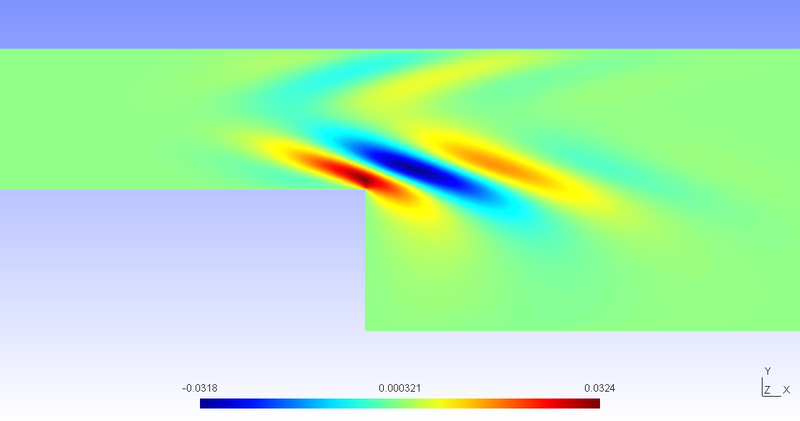 Figure 8.13: Non-dimensional wall shear stress distribution. 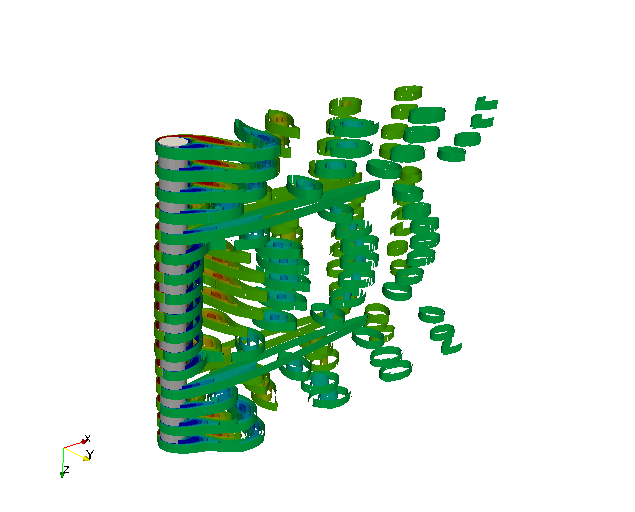 The simulation results are illustrated in spanwise vorticity contours in Figure 8.14. The wake response of the cable appears as standing wave patter in the earlier stage and then it transitions into traveling wave response, as shown in this figure. Figure 8.14: Spanwise vorticity contours in standing wave and traveling wave patterns predicted in finite strip modeling. In this section it will be described how to perform a transient growth stability analysis using Nektar++. Let us consider a flow past a backward-facing step (figure 8.19). 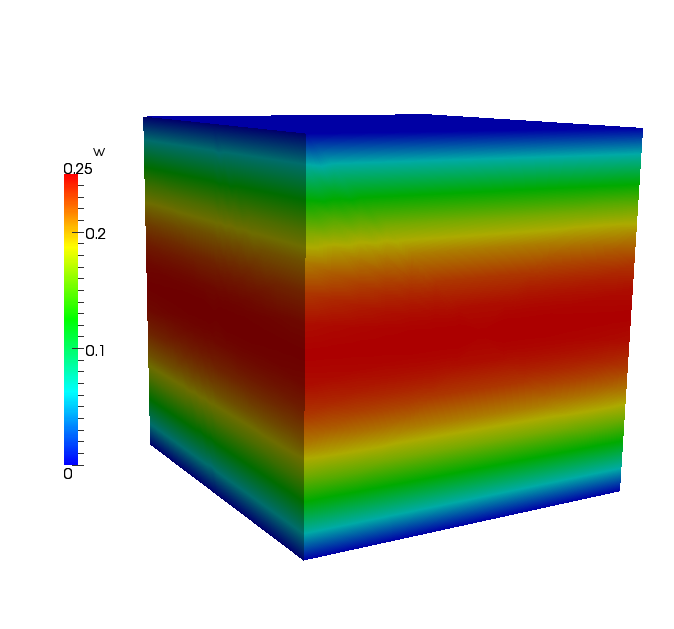 This is an important case because it allows us to understand the effects of separation caused by abrupt changes in the geometry and it is a common geometry in several studies of flow control and turbulence of separated flow. The solution will be evolved forward in time using the operator A, then backward in time through the adjoint operator A*. The leading eigenvalue is λ = 3.236204). This corresponds to the largest possible transient growth at the time horizon τ = 1. 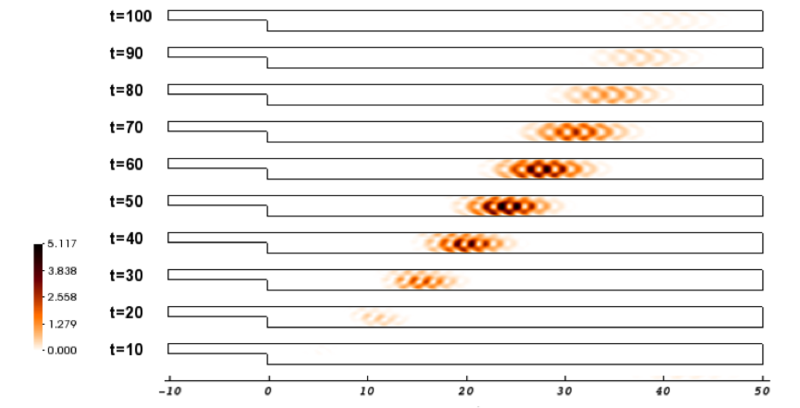 The leading eigenmode is shown below. This is the optimal initial condition which will lead to the greatest growth when evolved under the linearised Navier-Stokes equations. The stability simulation takes about 20 cycles to converge and the leading eigenvalue is λ = 1.2670 with a growth rate σ = 4.7694e - 02. 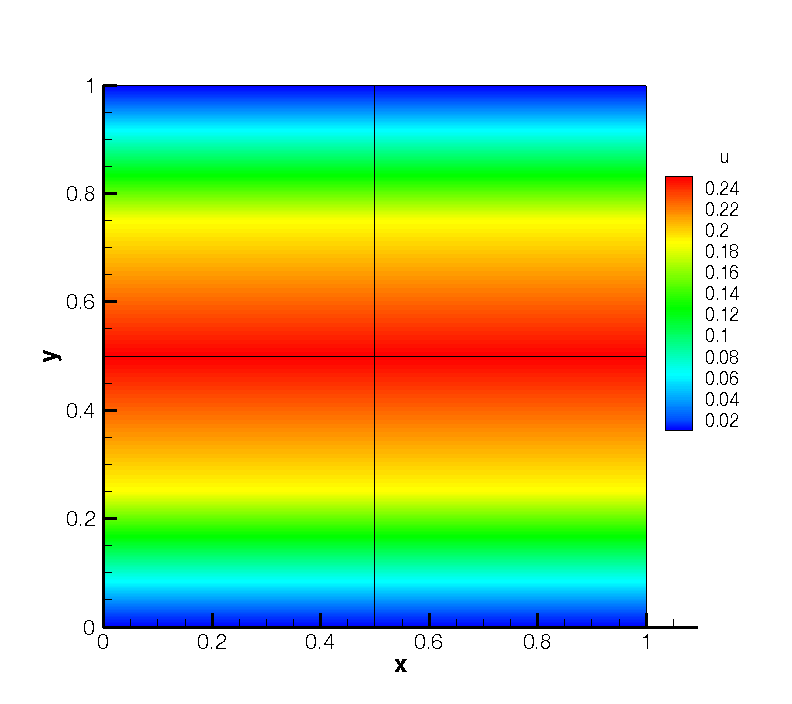 The figure below shows the profile of the magnitude of the eigenmode at z = 2.